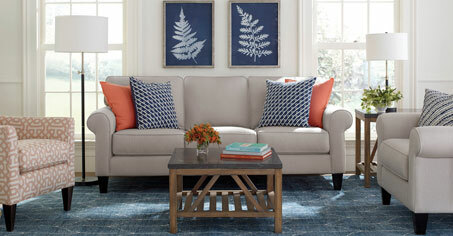 Boston Interiors strives to accurately reproduce screen images of fabric and wood samples. However, due to manufacturing variances, limitations of monitor resolution and the variation in natural interior lighting, actual colors may vary from the images you see online. 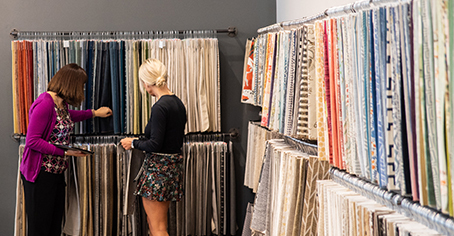 For this reason, it is important to see a sample of the products or fabrics at your local showroom whenever possible. Clearance ordered require a 50% deposit at time of sale and must be picked up within 3 days or scheduled for next available delivery. Orders not delivered within the time frame are subject to cancellation without refund or credit. Our price guarantee is simple. We guarantee our price to be the lowest for the identical product and service for 30 days after your delivery date. Once verified, we will match any price from a full service, local stocking retailer within our normal delivery area. We do not match prices for going out of business sales, closeouts, special purchases, clearance, damaged or floor sample merchandise, membership clubs or online retailers. Price matches made within 30 days of merchandise receipt will be refunded by the method originally paid. Cash payment refunds will be issued as a check that will be mailed within 10 days. We take great pride in the quality of our merchandise. If there's a problem with an item we will work with you to find the perfect piece or simply take it back. Read our Return Policy. For any refund, we will credit the same credit card account on which you charged the original transaction. If the card used in the transaction is no longer available, or if your payment was made by cash, check, traveler's check or money order, we will mail you a check from our corporate office within sixteen (16) days. We can only issue checks to the person(s) listed as the sold to party on the original transaction. Purchases include the manufacturer warranty or our one-year warranty against defects, whichever is longer. The warranty does not apply to any clearance products sold as is or final sale, including floor samples or display models. In-home service at the original delivery address for local delivery areas is included for one year if you purchased our Deluxe Delivery service. Out of Zone deliveries are not covered by our in-home warranty service. Items picked up at our warehouse must be returned to our warehouse for service inspection, repair or replacement. Warranties are not transferrable. Read our Warranty Policy. If possible, our delivery service will quote the additional cost to hoist or arrange a “difficult access” delivery. Stock merchandise may be returned for a full refund or credit to reselect. Special orders may be returned for a store credit less 30% of the net sale. There is no fee for canceling delivery more than 48 hours prior to the scheduled delivery date. There is a $50 fee for canceling delivery within 48 hours of a scheduled delivery date. Boston Interiors strives to provide accurate and timely information on the website and its print materials. However, in the event merchandise is incorrectly priced or contains incorrect product details or other misinformation, Boston Interiors reserves the right to refuse or cancel any orders, whether or not the order has been confirmed and payment received. If a credit card has been charged for purchases and the order is canceled, Boston Interiors will issue a credit to the credit card account in the amount of the charge. Return or cancellation of items may result in adjustment or loss of original discount. At Boston Interiors we know how important a good night's sleep can be so we guarantee comfort satisfaction with the purchase of your Simmons Beautyrest premium mattress. Normally it can take up to 30 days to adjust to a new sleep surface so for this reason, Boston Interiors offers you a 30-Day Comfort Trial for our Beautyrest Mattresses. If after 30 days you are not satisfied with the comfort of your new Simmons Beautyrest premium mattress, Boston Interiors will give you up to 30 additional days to exchange it. Our 30-Day Comfort Trial is offered on any size Simmons Beautyrest mattress. The 30-Day Comfort Trial and exchange is limited to one time per customer per household. Your returning mattress must be in clean like new condition - no rips, tears or stains. Your mattress exchange must be of equal or greater value. If a mattress of greater value is selected, then you will be responsible to pay for the difference. No refunds or credits will be given if a mattress of lesser value is selected for exchange. Your mattress exchange must be for the same size and will not include exchange of the foundation. A return, disposal & delivery fee of $99 per mattress will be charged for any mattress exchange. The 30-Day Simmons Beautyrest Mattress Comfort Trial is not applicable to clearance or floor model mattresses. This offer may not be combined with other promotional offers, rebates or coupons. This offer is not available for online orders or for mattresses delivered outside of our standard delivery zone. When you purchase a Simmons Beautyrest mattress, you will be eligible to receive your choice of a free standard bed frame or free delivery to locations in our standard delivery zone. This offer may not be combined with other promotional offers, rebates or coupons. This offer not available with online mattress purchases. This site is owned and operated by Boston Interiors. Unless otherwise specified, all material appearing on this site, including text, site design, logos, graphics, icons, and images, as well as selection, assembly and arrangement thereof are the sole property of Boston Interiors. Visitors may use the content of this site only for the purpose of reviewing the product lineup and features, finding the Boston Interiors store nearest you, learning about employment opportunities and contacting Boston Interiors. No material from this site may be copied, reproduced, modified, republished, uploaded, posted, transmitted or distributed in any form or by any means without written permission from Boston Interiors.